On April 20, 2018 at 14-00 in the Central city library (22, Irtysh Embankment named after Slavsky) in the framework of the program «Рухани жангыру» the meeting with a poet-improviser, journalist Serik Kusanbayev will be held. 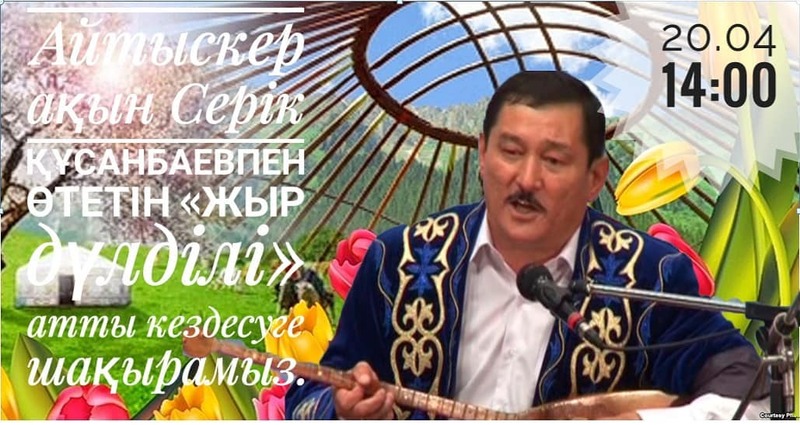 A native of Zaisan, Serik Kusanbayev made his first steps in Kazakh traditional song art in the 90-th in Pavlodar region where he became a winner of the third republican aitys. The father of two children Serik Kusanbayev works today in Ust-Kamenogorsk as a journalist. In his spare time he writes poems about the urgent problems of society. He published two books «Baigyz» and «Zhirlaumen otken 20 zhyl». During the meeting akyn will communicate directly with the audience, answer the questions. The poet-improviser will perform the famous works and will delight the audience with his art of singing. We invite to the meeting the members of «Shabyt» young poets school, library readers, young journalists and students.